Slotskroen on Slotsgade 67 in Hillerød, Danmark is a historic restaurant which was taken over by Jensen’s Bøfhus in 2011, changing its exterior a lot. The new outside of the historic building has been discussed a lot within Hillerød community. 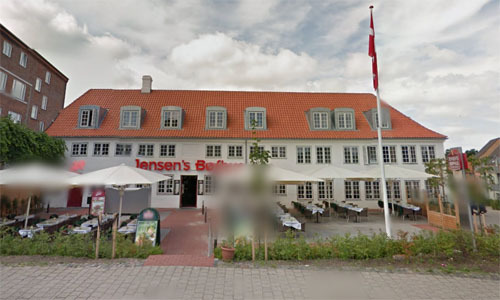 Frederiksborg Group has acquired and developed Slotskroen in Hillerod to Jensen’s Bøfhus or Jensen’s Steakhouse, which opened a 550 square meter restaurant in the property. The building contains also five apartments and a space at ground level for professional use, such as medical clinic. 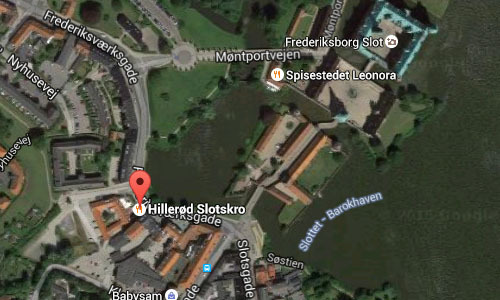 Slotskroen lies opposite the Frederiksborg Castle and is one of Hillerød’s oldest buildings. It was originally built as a royal butcher farm, but became around 1725 a free residence for bell maker at the castle, which was also the region’s watchmaking why it it was called “Uhrmagergården” (or clockmakersfarm). On December 29, 1794 the farm was sold to August Schroeder, who let it adapt to the inn. There has been run inn in the building for more than 200 years. Hillerød is a Danish town located in North Zealand. Hillerød is the administrative centre of Region Hovedstaden (Capital Region of Denmark), one of the five regions in Denmark, and is also the third-largest town in this part of Zealand after Copenhagen and Helsingør. Hillerød was founded during the early medieval times. 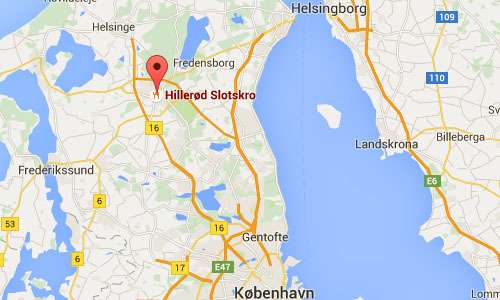 The name is first mentioned in 1552 as Hylderødz, deriving from the male name Hildi and the suffix -rød, meaning “clearing in the forest”. In 1550, crown prince Frederick acquired Hillerødsholm in exchange for another properties. His son, Christian IV, tore down most of the old buildings and built a new castle between 1602 and 1625. It was never officially incorporated as a market town but prospered from ample privileges afforded by successive monarchs, although it experienced a set back when Frederick IV moved court to Fredensborg Palace in the 1720s. Hillerød was from 1772 until 1908 named Frederiksbog after its castle. Its first town council was established in 1778 and its town shield, which features a flowering elder tree, is from 1787. The best known monument is Frederiksborg Castle, which was long a seat of Danish kings. The castle is open to the public and houses the Frederiksborg Museum/The Museum of National History. It has a large baroque garden. 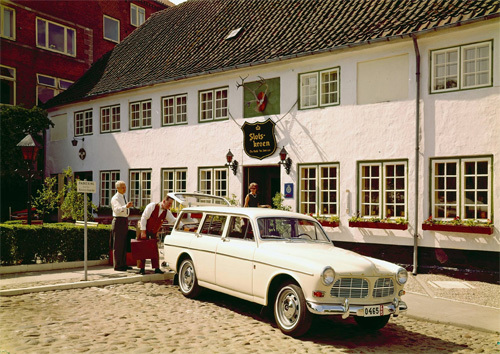 The Town Museum (“Bymuseet”) contains a permanent exhibition on the history of Hillerød. “The Boiler Room” (“Kedelhuset”) has changing special exhibits. In 2005, the subject was the ancient and medieval history of Northern Zealand. The ruins of Æbelholt Abbey (Æbelholt Klosterruin) are the remains of the largest Augustinian monastery in the northern countries. The site also contains a museum showing its history. The monastery was founded in 1175/76 by the French Augustinian, William of Æbelholt, later Saint William, for the reform of the already extant Eskilsø Abbey, which was moved here. He was summoned to the task by the Danish archbishop and statesman Absalon. After the Reformation in 1536, the monastery lands were appropriated by the state and the buildings were torn down. Some of the bricks were later used in the construction of Frederiksborg Castle. Esrum Abbey (“Esrum Kloster”) is a Cistercian monastery dating from 1151. The only remaining building of this once vast complex now houses a permanent exhibition about the Cistercians. There is a restaurant in the vaults. 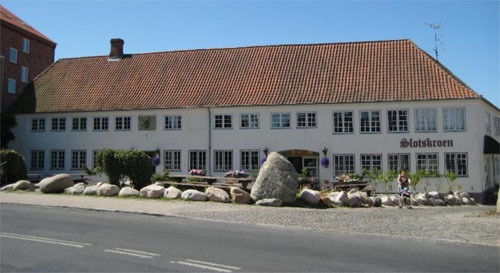 Next to the monastery is “Esrum Møllegaard”, the Nature and Environmental Centre of Ecology.